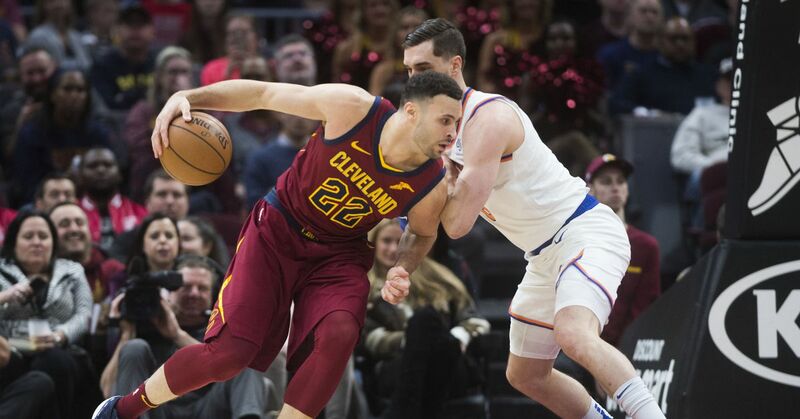 The other two teams near the top in zone usage are the New York Knicks , whom Cleveland played on Monday night, and the Brooklyn Nets , whom the Cavaliers will see on Wednesday. Since the defense isn’t matched up individually, a precisely timed pass to a cutter can wreak havoc, drawing multiple defenders and creating another opening elsewhere. The Cavaliers aren’t big on player movement when they fact a zone, but instead will work within the confines of a three-man shell system and move the ball quickly and with purpose in order to find the best opportunity. Sexton in particular gums up the works with his slow decision making; the difference between him and Matthew Dellavedova is night and day in terms of how they handle a zone defense. Hassan Whiteside was too scared to leave Nance alone under the rim and the other Miami defenders were too high to adequately help down on him, so Osman was open for an easy free throw line jumper. When Kevin Love is back to full strength and is able to rejoin his teammates for extended stretches, Cleveland’s zone offense should thrive.